We are much more than a cooking school in Tuscany. Join us for a hands-on, all-inclusive culinary tour with daily cooking lessons from local Tuscan women, first-class accommodations in the medieval hilltop village of Montefollonico, visit the region’s wineries and cheese makers, daily tours of local and historic sites, recreational activities and more! 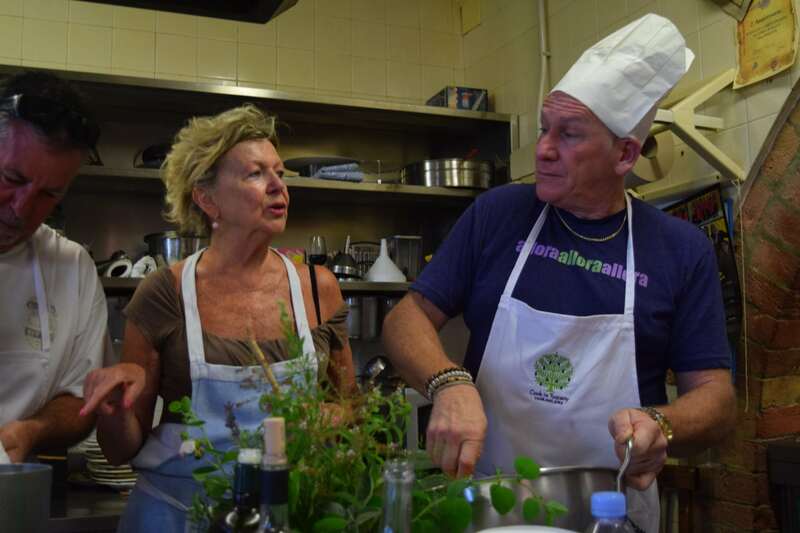 We love Italian food so much we started our cooking school in Italy! And while we realize not everyone can come to cook with us in Tuscany, we can share the benefit of our expertise in Italian food and wine gathered from years of cooking with the local nonnas (grandmothers) and chefs in Italy! Our monthly newsletter features incredible recipes, helpful tips, and recommendations of authentic Italian products now available here in the US so you can serve authentic Italian dishes to your own family and friends. Visit the New La Chiusa Boutique Hotel! Cook in Tuscany® (US Registered Trademark) is a US registered business based in, and operating solely from the United States. A division of The Meyers Group, LLC. 14658 Gap Way, #484, Haymarket, VA 20169.